Let’s talk about Israel; one of the great Holy Lands where Jewish, Christian and Muslim religions culminate in the one place. If Israel is not already at the top of your wishlist, then you might have some rearranging to do. Israel has much to offer in the way of lively nightlife (hello Tel Aviv! 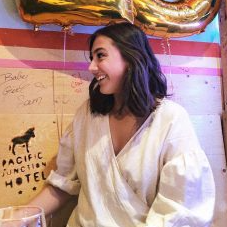 ), fascinating religious sites, a growing vegan and craft beer scene along with out-of-this-world desert landscapes that you need to see to believe. Without further ado, it’s time to take a closer look at Israel. What kind of traveller is Israel suited for? 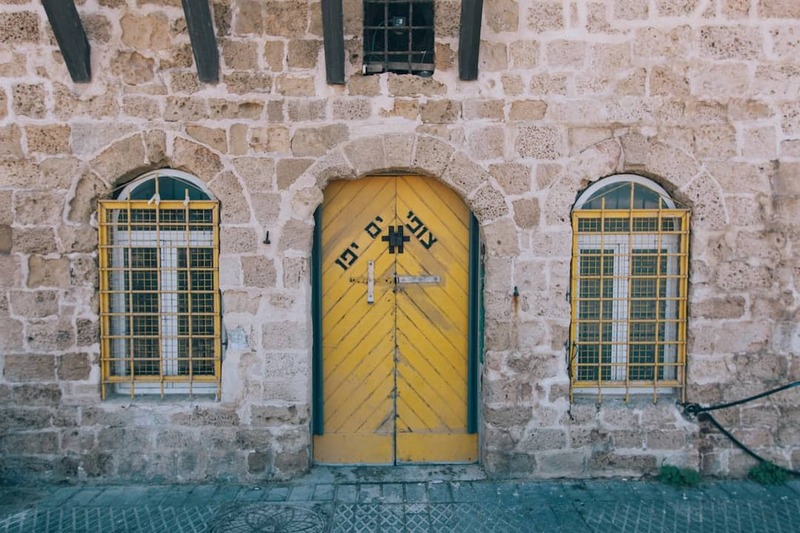 Within moments of arrival in Israel, it becomes evident that the country is filled with character, energy and a proud sense of history – and is best explored freely without a map. 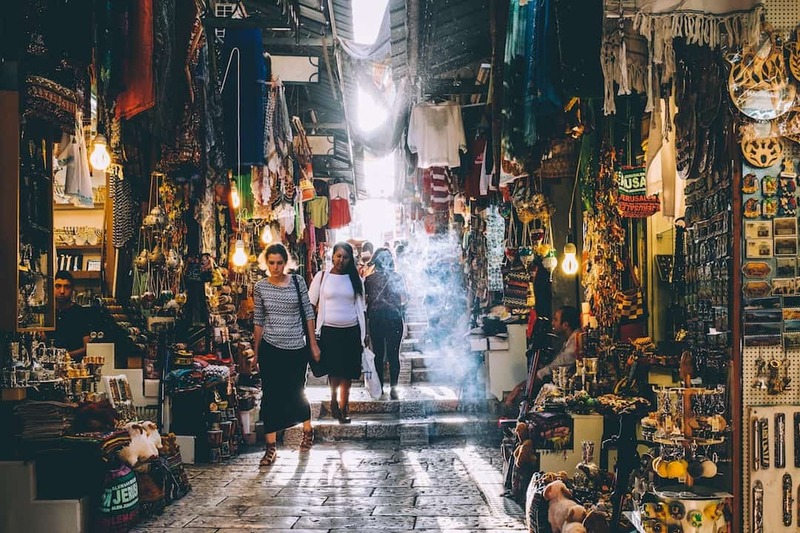 Israel is built for the curious traveller; someone who isn’t afraid to navigate the complicated pathways of the shuk (lively outdoor markets) or to get lost and learn from locals who no doubt have a story to share. 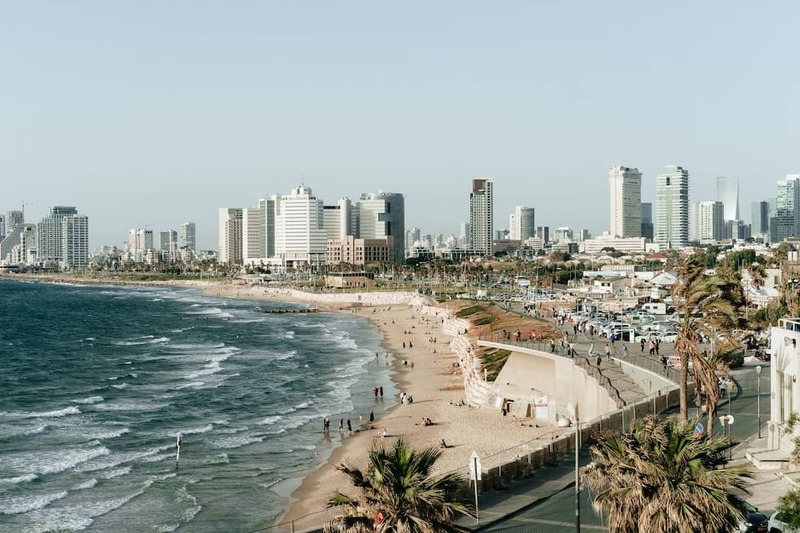 If you’re not so interested in the historical side of Israel, there are a number of budget airlines that fly to Tel Aviv where travellers can laze along the Mediterranean Coast by day, and party by night. Unless you’ve been living under a rock, you would know that Israel is surrounded by neighbouring regions that have had their fair share of political conflicts. To answer your question, yes, it is safe to visit Isreal. Small precautions like avoiding independent travel on the West Bank will keep you out of trouble. Also, stay away from large political demonstrations. With any adventure, make sure you register your travel plans with your local government and keep an eye on any warnings issued in your home country. How do I get around Israel? When planning your journey around Israel, it’s important to note that Shabbat plays a large part in determining the schedule of public transport, as they will cease to operate once the sun goes down on Friday afternoon. Sherut: Acting as a large shared taxi (in the style of a 13-seater van), the best feature of a sherut is that they can be hailed from almost anywhere in town. If the driver has space in the van they will stop for you. Simple as that. They operate just like a bus except they do not have pre-set stops. You can jump on a sherut and travel from city to city (also notably cheaper than a taxi) or you can catch one from the airport into Jerusalem, for example. A large number of sheruts operate 24/7 making it the most accessible form of transport during Shabbat. Taxi: A popular mode of transport in Israel, always make sure you use the metre each time you travel in a taxi to avoid getting ripped off by unscrupulous drivers. By law, the driver is required to turn on the metre if you ask. Car: If you’re confident enough to drive on the right-hand side of the road, hiring a car is highly recommended. All you need is your regular licence and off you go (no need for an international licence). If you’re staying within the confines of Jerusalem or Tel Aviv, there is no need for a car. If you’re hoping to take the road less travelled or if you plan on spending time in smaller towns, then a car is your best option. Make sure you read the fine print to avoid landing yourself in any trouble while you’re abroad. Local bus: You can get almost anywhere when travelling on a local bus, as most villages, towns or kibbutz have a bus service that operates throughout the day. Some of the bus companies you will find include Afikim, Egged, Nateev Express, Nazareth Tourism & Transport and Rama. Bicycle: If you’re an avid bike-enthusiast, you’ll be pleased to hear that Israel is a bicycle-friendly destination where you can easily ride from one city to another. As the self-proclaimed “vegan capital of the world,” Tel Aviv is just the start of your vegan or vegetarian adventure in Israel. For the veggie-sceptics out there; you’d be wrong to assume that all vegetarian or vegan food served in Israel is flavourless or bland. With the majority of all produce grown locally within Israel, you can bet your next tofu burger that the quality of the fruit and vegetables (and flavour) will shock you. With Israeli staples such as falafels and hummus already being vegan, it’s no surprise that the number of plant-based restaurants has rapidly expanded in recent years. Shakshuka: It’s likely that you’ve seen a similar reincarnation in the way of baked eggs at your favourite cafe, but what you might not know is that the origins of this dish came from Israel – and you’d be crazy not to try it. This tomato-based dish is seasoned with cumin, pepper and spices topped with a poached egg and parsley. Falafel: This goes without saying, but falafels are simply the best. These deep-fried chickpea balls are another Israeli staple that you can often find in markets or at most restaurants. Malawach: A traditional pancake that can be served with a number of sweet or savoury toppings. Shawarma: For the meat-lovers, you can rest easy knowing that shawarmas can readily be found on the streets of Israel. Featuring slow-cooked meat accompanied by pita, a selection of dips and a variety of sides, your stomach will thank you. Hummus: This is a non-negotiable, must-try dish when in Israel. If you are a passport holder from Australia, Canada, United Kingdom or the United States of America among many other nationalities, you do not require a tourist visa to visit Israel. You will, however, be required to pay an exit tax of $30 USD upon your departure. It is also worth noting that having an Israel stamp in your passport may stop you from entering Iran, Syria, the UAE or Yemen. To avoid any future problems, border guards can stamp the entry and exit stamps on a separate piece of paper and not in your passport, however, this is not always guaranteed. Before you travel, make sure you check the entry requirements with your local embassy as these conditions are always subject to change. See Also: Do You Need a Visa to Go There? How long should I visit Israel for? There are a number of tours that combines Egypt, Jordan and Israel in just 15 days and often allocate just three or four days in Tel Aviv. 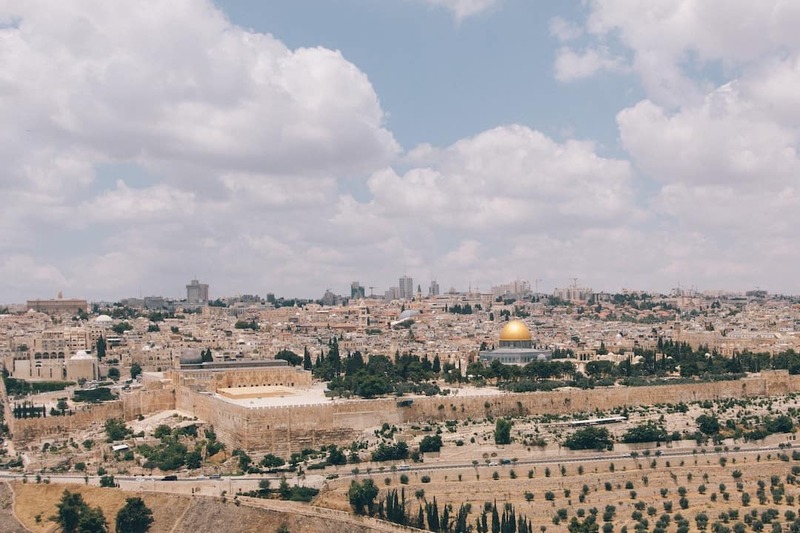 In order to make the most of your time in Israel and become immersed in the culture and history, we would suggest staying at least a week in Israel. It never hurts to allow for extra time in such a fascinating country. How much should I budget for Israel? This will vary for each and every traveller and can depend on a number factors. Are you travelling solo? In a group? With a local tour? These are all elements to think about when planning your budget. You could easily make do with under $70 USD per day (including a dorm bed at a hostel, food, beverages and transport). On the other hand, if the word budget is not in your vocabulary, you could spend $200-250 USD per day and stay at a high-end hotel and splash out on private transfers or day tours. If you’re looking for a beach escape, Tel Aviv is home to 13 beaches where you can kick back and simply do nothing at all (which of course, is an experience in itself). Approximately an hour outside of Jerusalem, travel to Ein Gedi for a relaxing walk through the natural desert oasis. Existing as the highest point in ancient Jerusalem, you travel by car or by walking from the Old City. Important sites on Mount Zion are Dormition Abbey, King David’s Tomb and the Room of the Last Supper. This is a market like you’ve never seen before. Located in Jerusalem, you can find authentic Iraqi and Kurdish food, or Italian-inspired cuisine. Seen to be one of the holiest sites, the Western Wall is the last remnant of the Second Jewish Temple. 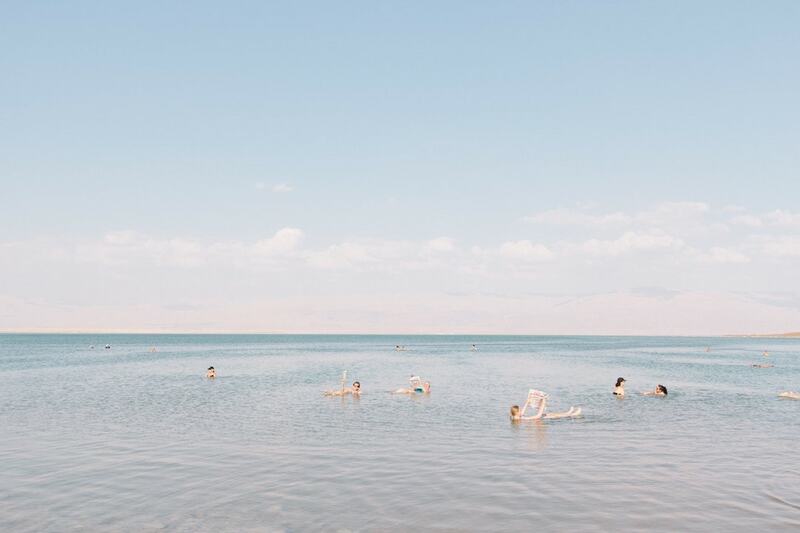 Existing 400 metres below sea level, the Dead Sea is the lowest point on Earth. Here, you can slather mud all over your body which is said to share many natural benefits to your skin. 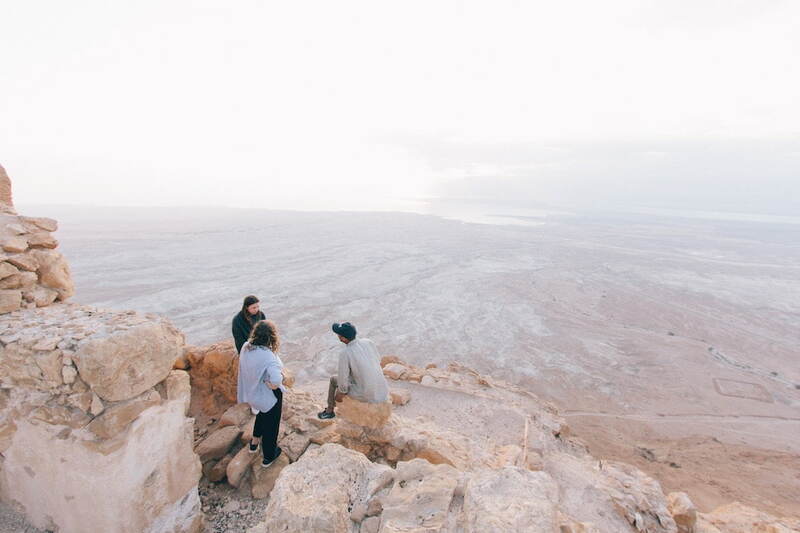 Given the large expanse of desert terrain that covers Israel, it comes as no surprise that desert activities can easily be found. 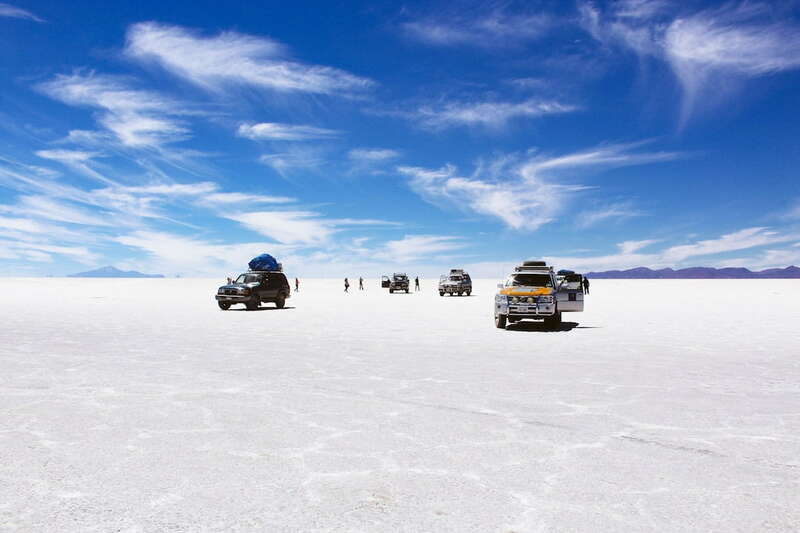 Try sandboarding or find a 4×4 tour. 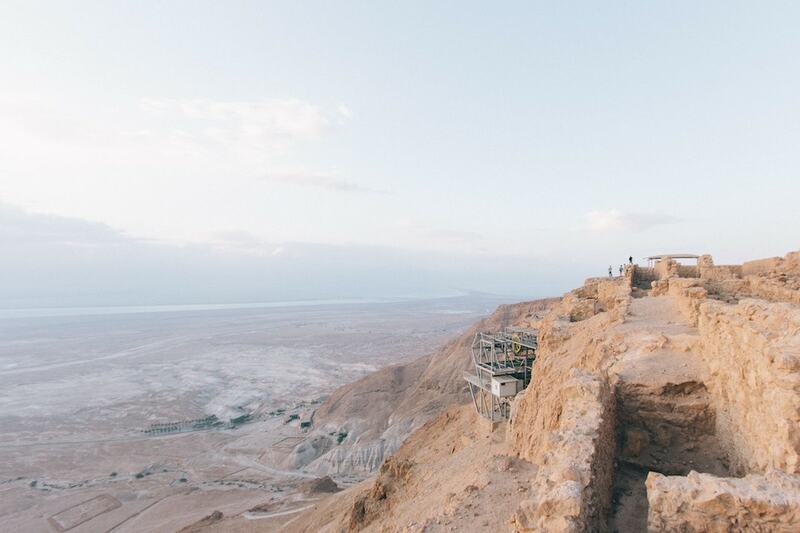 One of the most frequently visited places in Israel, head to Masada for panoramic views over the Dead Sea and towards the Jordanian mountains. Without a doubt, a major highlight of my visit to Israel was climbing the Snake Path up Masada, a nearly 2,000 year old desert fortress overlooking the Dead Sea that was built by King Herod the Great. The phenomenal views were worth it alone, but emerging triumphantly at the summit was a thrill I had long ago forgotten. Yes, Masada is an important symbol of Jewish freedom, of their determination to be free in their own land. But to me, conquering Masada meant finally starting to reconnect with a part of myself that I had missed, the part that loved to hike and run wild. A trip to Jerusalem is obligatory in order to fully understand the significance of this city. 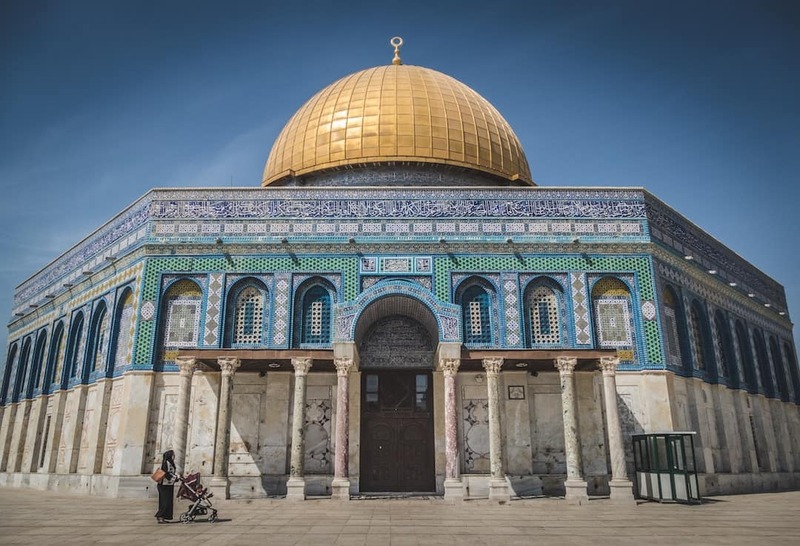 Make sure you visit the Dome of The Rock or the Church of the Holy Sepulchre. Just make sure to dress modestly when visiting any religious sites out of respect. For women, this means shoulders, collarbone and knees covered. For men, make sure you are wearing a top with sleeves and long trousers. While exploring the holiest city in the world, Jerusalem, I was amazed by how many religions and cultures can remain in one place. Not to mention the abundance of tasty food and beautiful street art sprinkled around the city. You can find hundreds of varieties of coral and marine life below the water’s surface. This multicultural neighbourhood in Tel Aviv deserves your time and attention. Along with the vintage boutiques in the area, the walls are adorned with edgy artworks of varying styles and themes. From the Dancing Camel to Jem’s, there are a growing number of microbreweries popping up in Tel Aviv. The Caves at Beit Guvrin are one of the largest drawcards in the area. In total there are at least 800 bell-shaped caves, some of which are linked by underground tunnels.